Implement dealer, insurance broker, MLA (1937-1940), MLA (1941-1945), MLA (1946-1949). Born at Edinburgh, Scotland on 25 August 1875, son of Robert Lawrie (1852-1906) and Annie Polworth (1848-1915), he was educated at George Heriots School (Edinburgh, Scotland). He came to Canada in 1893 and worked on a farm for a year then bought his own farm at Sidney. Ten year later, he and his father bought three grain elevators and moved them to Brookdale where he took up permanent residence, becoming an implement dealer and merchant, being later succeeded in business by his son Angus. On 16 April 1907, he married May Clegg (1887-1963), the eldest daughter of Angus A. Clegg (1860-1938), of Brookdale. They had six children: Annie Catherine Lawrie (1908-? ), Robert Polworth Lawrie (1910-? ), Angus Campbell Lawrie (1912-1969), Jean Elsie Lawrie (?-?, wife of Stephen A. Moffatt), Margaret Lawrie (?-?, wife of A. W. Borer), and Elsie Lawrie (?-?, wife of W. G. Thomson). He was a Police Magistrate and later Police Commissioner. 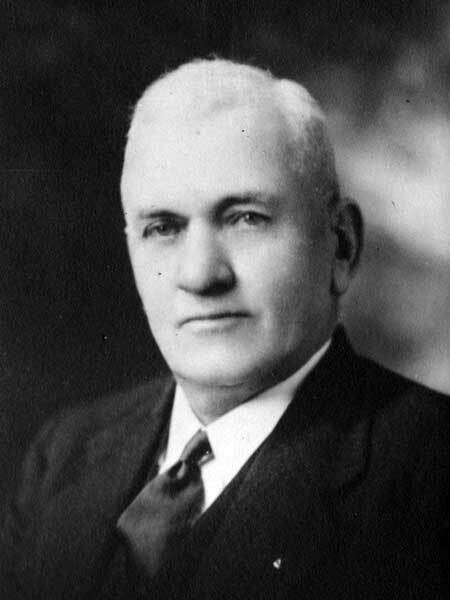 He was first elected to the Manitoba Legislature at the 1936 general election and was re-elected in 1941 and 1945. He was a member of Brookdale United Church and the Masons. He died at Carberry on 17 October 1951 and was buried in the Brookdale Cemetery. Obituary [Angus C. Lawrie], Brandon Sun, 20 December 1969, page 15.